Erica’s early interest in teaching and learning led to a career in teaching—15 years teaching middle and high school science and serving eight years as Science Department chair for a large Missouri school district. She worked extensively with science curriculum for grades K-12, as well as science standards for Missouri. She worked in state and also in California at the testing company on the Missouri state assessment, writing items and scoring the test. She also spent one year, working for our state’s Department of Elementary and Secondary Education, in a cooperative program in which she traveled around southwest Missouri and worked with schools, administrators, teachers and students. While in the classroom, she received both local and state teaching awards. Erica used Projects WET, WILD, PLT and LEP in her classroom, along with other outdoor experiences. She now teaches the Middle School Science Methods course for Missouri State University and works with students and teachers at the Watershed Center in Springfield. 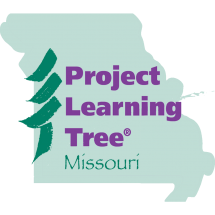 Erica is also the state coordinator for Missouri Project WET and the Co-Coordinator for Missouri Project Learning Tree. Janice Schnake Greene has been in education for over 30 years. She became a facilitator in Project Learning Tree and Project WILD in 1989 while in Texas. She became a facilitator in Project WET when she moved back to Missouri in the mid-1990’s. Greene served as State Coordinator for the Leopold Education Project for 10 years. She became the State Coordinator for Flying WILD in 2013 and Co-Coordinator for Project Learning Tree in 2014. Her current interests in teaching and research are learning outdoors and in birds.